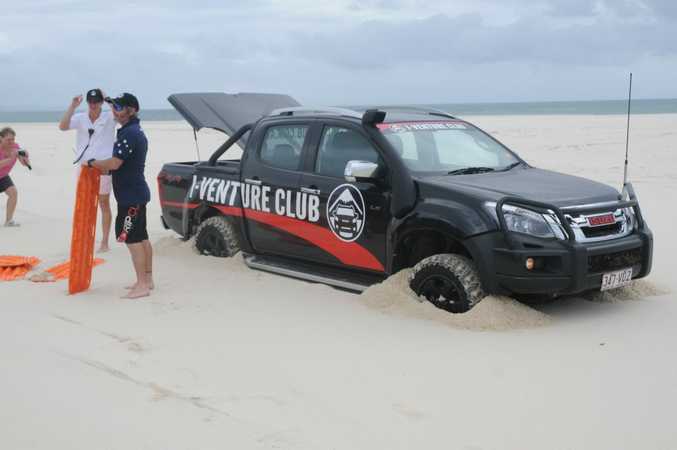 Fancy a 4WD adventure on Moreton Island? 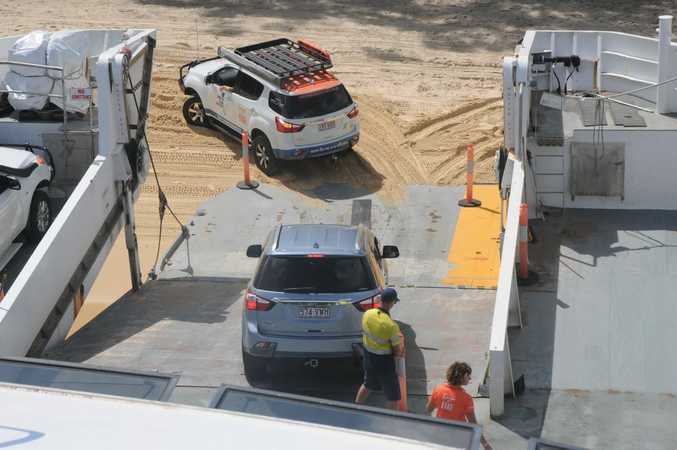 HOW do you say no to an invitation to spend three days driving, swimming, snorkelling, kayaking on Moreton Island, especially when it includes a new Isuzu MU-X wagon. 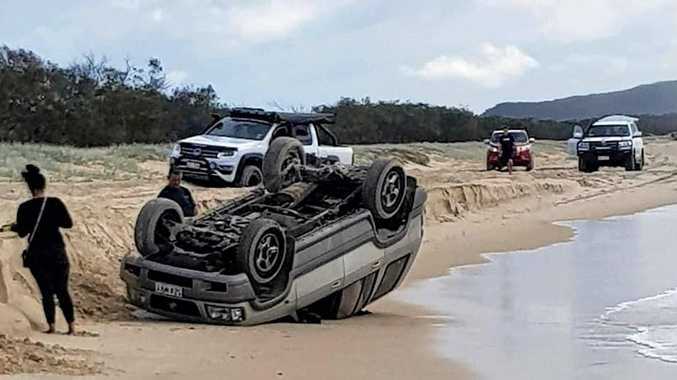 While these trips are normally reserved for product launches, showcasing the new model's capabilities, this time it highlighted a global first for a car maker, running the Owners Club in-house, including the venue - in this instance Moreton Island, 58 kilometres north-east of Brisbane. 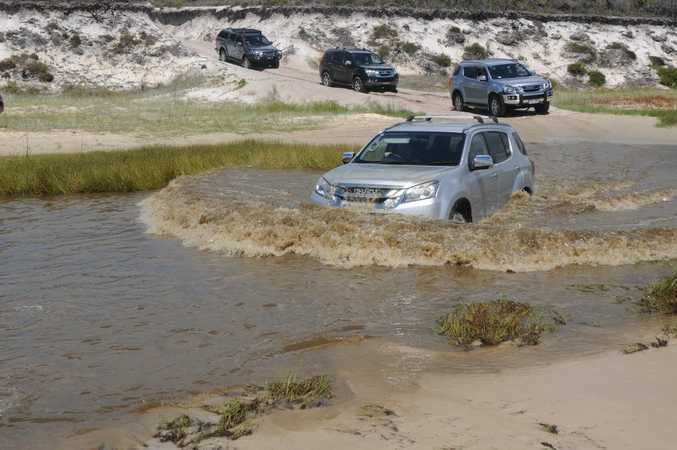 Dave Harding, Isuzu UTE's assistant general manager of Marketing & PR, said while the idea was drawn from "4x4 Land" a test and drive facility run by Isuzu in Thailand, the execution is 100% Australian. "We have a strong community of owners, we have just created the vehicle to bring them together where they can share the camaraderie of ownership," Mr Harding said. 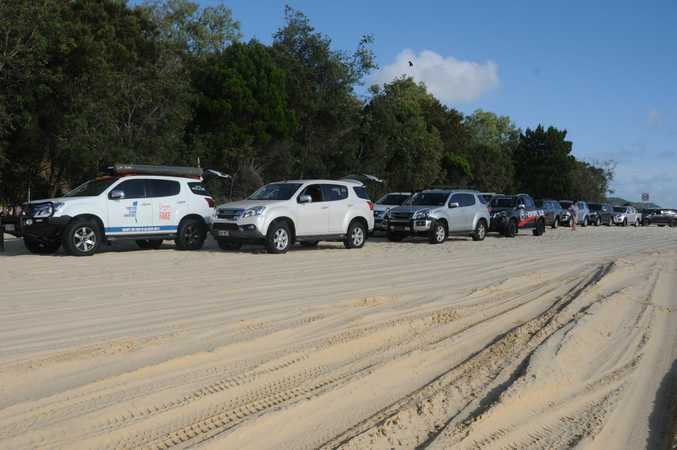 He also said the partnership with Moreton Island Adventures was ideal for prospective owners. "What other manufacturer includes access to an island as an ownership benefit?" Mr Harding said the I-Venture Club gave new owners the confidence to get off-road, with regular trips including driver trainers, to help "maximise the ownership experience". While this trip was the second three-day event, Mr Harding said day trips were regular, with other states using their own locations. "We hold I-Venture Club events around the country for all new and existing customers, with an event being held on average every three weeks." In the case of the Moreton Island trip, it is an all-in deal with food, non-alcoholic drinks and accommodation all covered in the price, plus driver training and activities including snorkelling and kayaking around the wrecks off Tangalooma, sandboarding, and visits to landmark locations with island tour guides. Driver trainer Graham Cahill uses a D-MAX ute in his off-road videos, and offers humour-filled commentary as he delivers advice, tips and pointers. "It is a great bonding session, people arrive as strangers but by the end of the trip are great friends." Mr Harding said every customer becomes a "brand ambassador", spreading the word of not just the vehicle, but the ownership experience, among their own social networks. 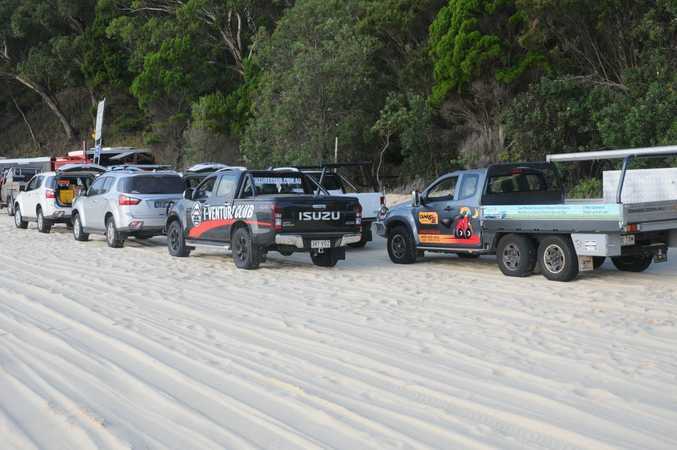 "What better advert for us, than owners telling their friends how Isuzu UTE organised a trip to Moreton or some other location, and how much fun they had." With "our" vehicle a showroom stock MU-X wagon, the only alteration was to reduce tyre pressures to 18psi while we waited to board the barge. As expected, the steering became heavier, however the power steering coped admirably, and we were following in the wheel tracks of the rest of the convoy of 15 Isuzus, tackling a variety of driving situations, with plenty of reassurance via the UHF radio from Graham Cahill when it was time to try something new. "We had a complete novice on this trip, yet by morning tea on the first day, Graham had her tackling obstacles with confidence, everyone else was encouraging and congratulating her on each new achievement." With Isuzu UTE increasing sales year on year, there will be even more owners in the next one. For more information on the I-Venture Club, visit www.iventureclub.com.au. What: The only owner's club organised and run by a manufacturer in the world. Why: To offer the ultimate ownership experience.